ESPN SportsCenter: My Wish Returns! Last night, ESPN’s SportsCenter brought back its famous My Wish series, which helps make the sports wishes of Make-A-Wish kids come true. This year, we will witness five wishes come true and see five very special athletes help make it possible. It’s no surprise that the world’s best athletes face many obstacles on their quest to attain world-class status. Through dedication, perseverance and determination, elite athletes become role models to wish kids who are working just as hard to overcome their life-threatening medical conditions. For the 10th consecutive year, ESPN® – through its “My Wish” series on SportsCenter – will showcase the power of the sports wishes that Make-A-Wish® grants. Between Sunday, July 19, and Thursday, July 23, ESPN SportsCenter will feature one inspiring wish a day. Viewers will experience five unique wishes that feature the following wish-granters: the San Francisco 49ers, Olympic gold-medalist Michael Phelps, WWE® Superstar John Cena, the Pittsburgh Pirates’ Andrew McCutchen, and Minnesota Lynx player Maya Moore. Make-A-Wish extends its thanks to Disney and ESPN for their support of this year’s “My Wish” series, and for their help in creating these incredible wish experiences and sharing them with the world. Beyond assisting with this year’s series, Disney – which owns ESPN – has been a steadfast friend of Make-A-Wish for 35 years and has helped the organization grant nearly 100,000 Disney-related wishes, including the first official wish in 1980. ESPN will air a one-hour “My Wish” special on Thursday, July 23, at 7:30 p.m. ET, with highlights from all five wishes. 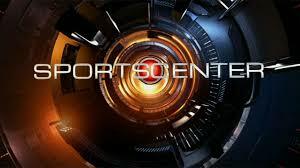 In addition, SportsCenter will show a special compilation of the five wishes on Saturday, July 25. For more information on this year’s series, visit wish.org/mywish. Editor’s Note: In anticipation of the series premiere, ESPN has created two teaser videos with clips from this year’s wishes. You can watch the videos on ESPN.com or click on the following links: http://espn.go.com/video/clip?id=13250864 and http://espn.go.com/video/clip?id=13250865. WANT TO SUPPORT “MY WISH” ON SOCIAL MEDIA? Make-A-Wish grants the wishes of children with life-threatening medical conditions to enrich the human experience with hope, strength and joy. According to a 2011 U.S. study of wish impact, most health professionals surveyed believe a wish-come-true has positive impacts on the health of children. Kids say wishes give them renewed strength to fight their illness, and their parents say these experiences help strengthen the entire family. Headquartered in Phoenix, Arizona, Make-A-Wish is one of the world’s leading children’s charities, serving children in every community in the United States and its territories. With the help of generous donors and more than 27,000 volunteers, Make-A-Wish grants a wish somewhere in the country every 37 minutes. It has granted more than 254,000 wishes since its inception in 1980; more than 14,200 in 2014 alone. Visit Make-A-Wish at www.wish.org to learn more.